In this line of reporting, crazy concert experiences pass before our eyes pretty regularly. Last night’s DRAM show in Texas up with the best of them. Let me preface this story by reminding everyone that a similar situation transpired this past week. Not entirely similar, but let’s just say Fetty Wap bribed a dissatisfied concertgoer with hundred dollar bills. Spring break is a helluva ponzi paradise. 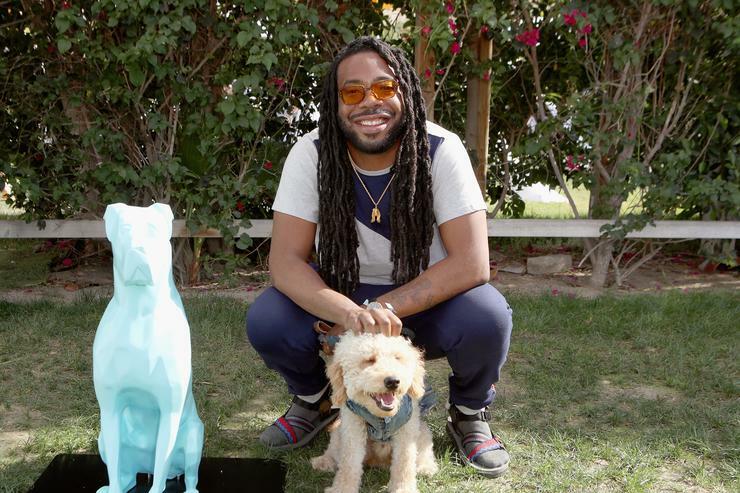 DRAM’s concert situation didn’t start or end on a negative note. The Virginia singer was playing his gig to a college crowd when all of a sudden he decides to leave the venue mid-performance in order to buy a stogie at a nearby convenience store. Yep, you guessed it, the crowd followed him down the same rabbit he exited, and into the store. Thankfully footage of this occurring does exist from several angles. In one of the videos, a concertgoer can be heard offering some of his personal bud for the construction of DRAM’s blunt. “Bro, if you need some weed, I got you,” the fan yells, hoping to get noticed amidst the sea of followers. DRAM even posted a video of his staged intermission, on his personal Twitter account. As you’d expect from a singer of his character build, once the blunt wraps were purchased and put to good use, DRAM inevitably redrew the curtain on his show.